This cute one-piece shorts romper is perfect for your baby boy on those warm summer days. 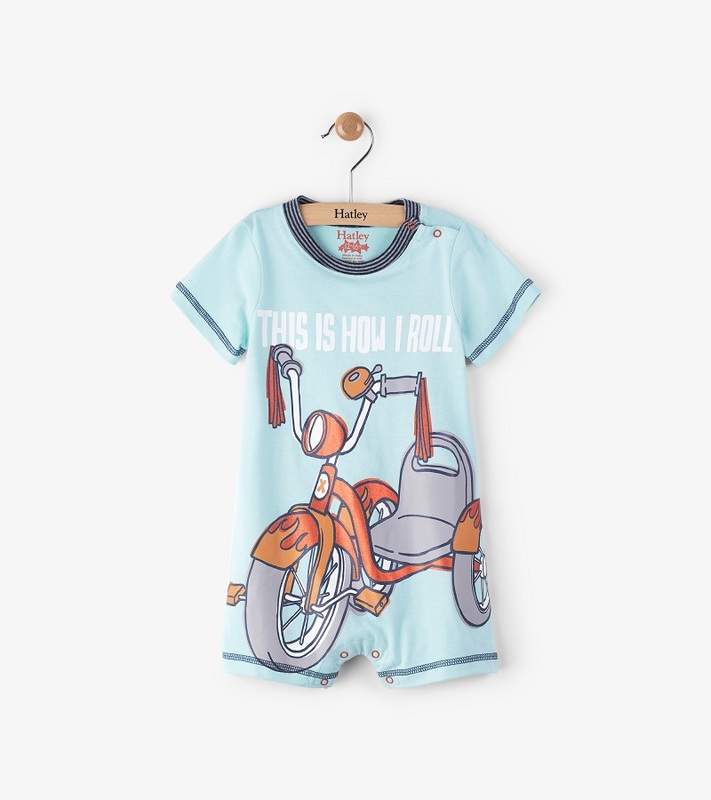 Super soft brushed cotton will be cozy against your babies skin and the metallic highlights on the motorcycle are fun! Features snaps in the legs for easy changes and at the neck. Made of 100% cotton by Hatley.